Gin lovers of the world rejoice as World Gin Day returns for its tenth year on Saturday 9 June 2018 with celebratory events across the planet. Hurrah! 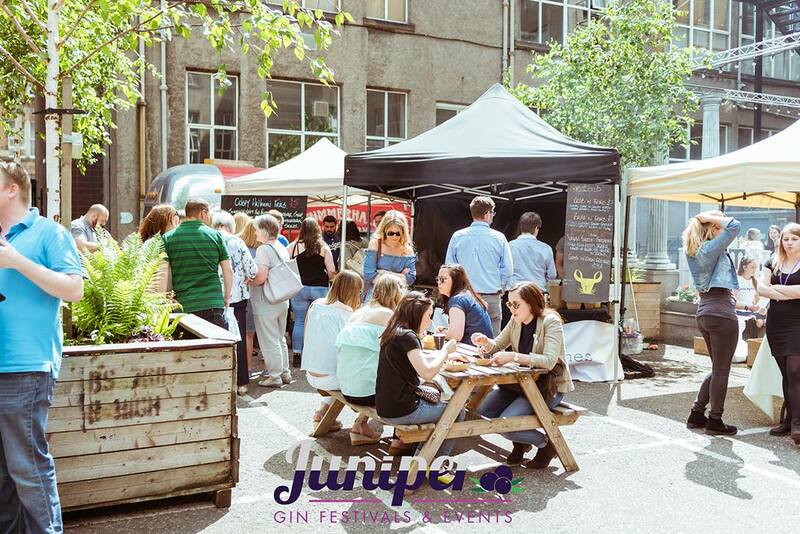 Edinburgh will celebrate a week earlier to get into the spirit over the first weekend in June with the Juniper Gin Festival taking place from Friday 1st to Sunday 3rd June at Summerhall, Edinburgh. 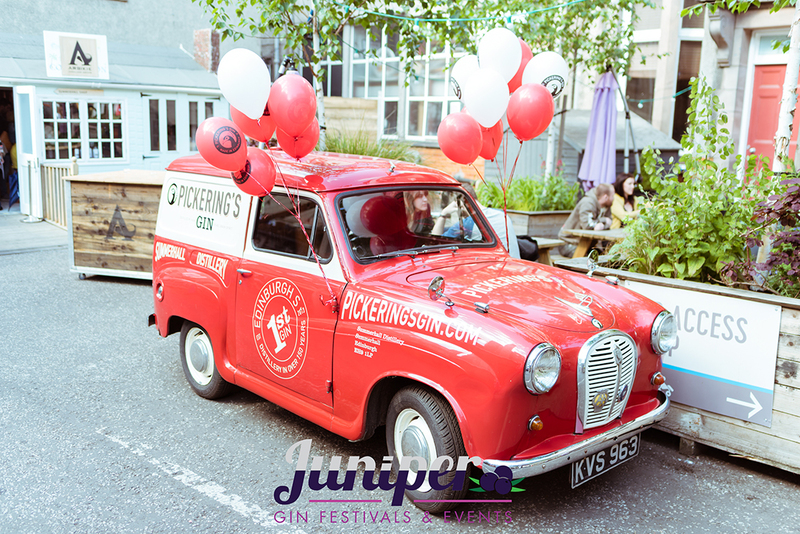 First launched in 2014, this is the 5th anniversary of Scotland’s Best Gin Fest. This year visitors can experience a wide range of specially curated events entitled the Makers and Mixers Edition. 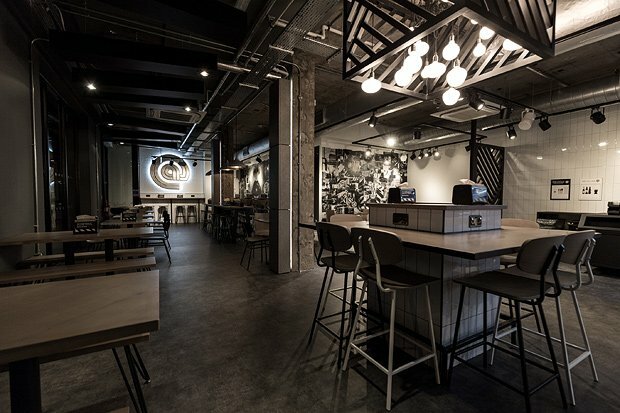 The Distillers Room, will bring together over 20 distillers to offer a unique opportunity for gin enthusiasts to sample a prime selection of gins and learn all about new and established brands. Meet the innovative Makers whose alchemy and art turns natural herbs and spices into the classic G & T.
Festival goers can also try a few Gin Cocktails by expert mixologists blending carefully selected gin brands with a range of ingredients to create the perfect summertime tipple. Book up for a Masterclass – free informative talks from the experts to learn everything you were afraid to ask, from the history of tonic to sustainability in the gin industry. 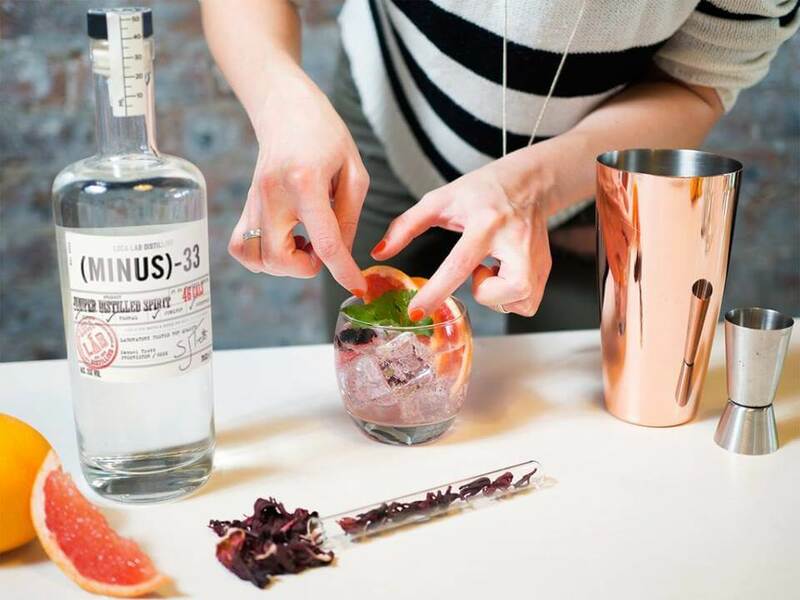 Above all this is a summer Festival in and around the Courtyard at Summerhall to appreciate the opportunity for Gin Sampling from a distinctly different range of brands crafted, created and concocted in Scotland, UK and worldwide. Here’s a few of the Juniper Spirits which will be showcased at the Festival with reviews from happy drinkers. Arbikie at Lunan Bay, Angus, is renowned for their Potato Vodka at the unique Farm to Bottle Distillery. 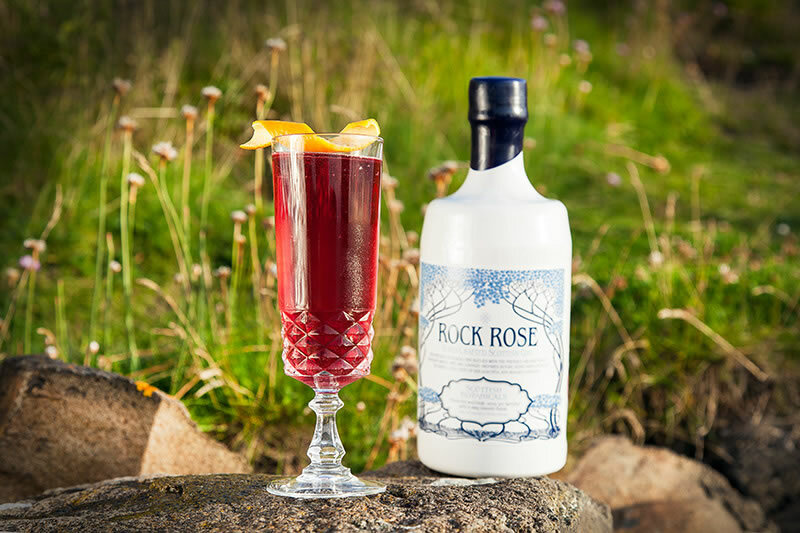 Their premium ‘Kirsty’s Gin’ embodies elements of the ocean, rock and land around the 2000-acre estate featuring locally foraged Scottish Kelp, Carline Thistle and Blaeberrys for a refined depth, character, quality and taste. It is named after its creator, the Master Distiller, Kirsty Black. 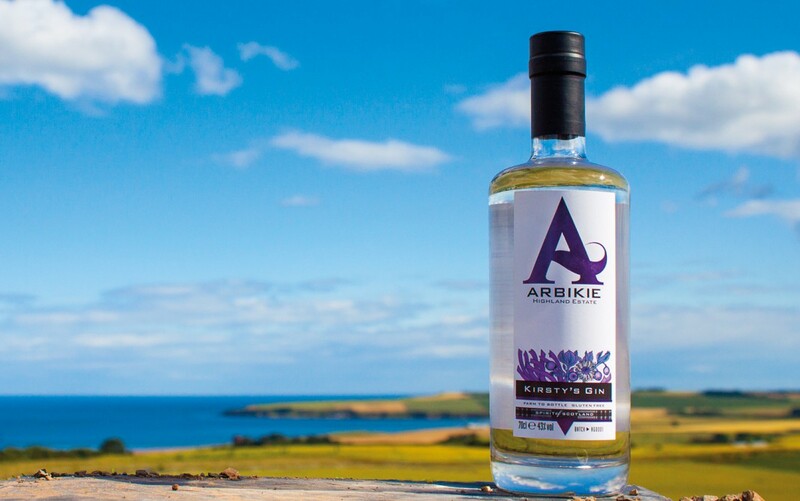 The Arbikie Distillery, has a wonderful motto: “Our farm, our field, our soil, our seed, our water, our still, our skill. That’s our difference.” Talk about being natural and organic! No-one is associated more with the Martini than James Bond. In ‘Casino Royale’ James Bond orders a Vesper made of part gin and part vodka to symbolise the double agent Vesper Lynd, the love of his life. 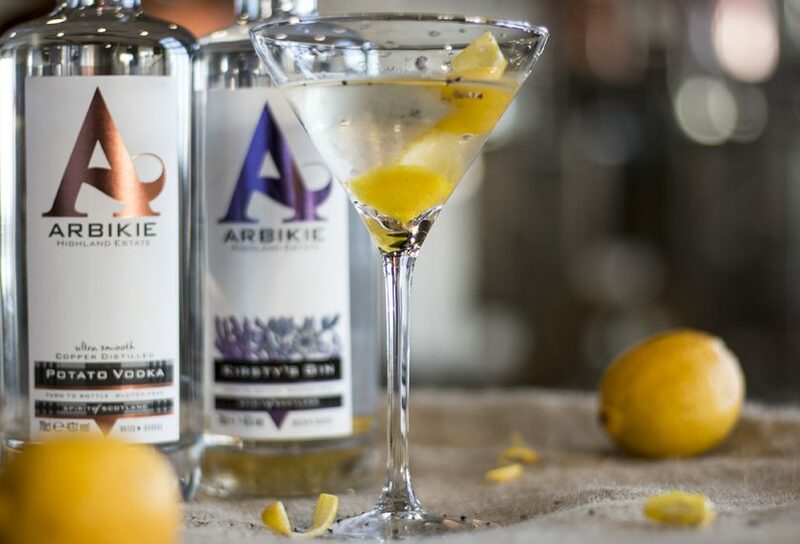 Why not shake up a Vesper with Arbikie Vodka and Gin for a cool, sophisticated cocktail.? 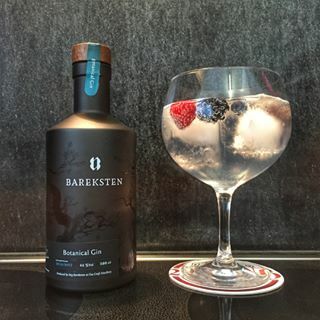 Produced at the Oss Distillery, Norway, Bareksten Gin takes inspiration from the mountainous landscape and icy fjords. Winner of the Double Gold Medal at the San Francisco World Spirit Competition. A gin that’s been crafted to represent the spirit of Norway, dark, wild and dramatic, earthy and rich, it suits a Dry Martini, Negroni or a G&T. 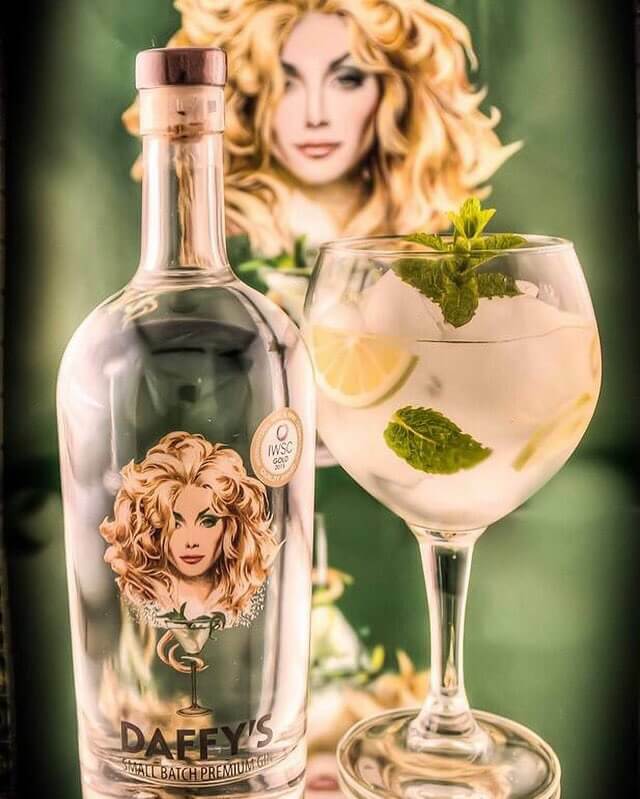 Boasting probably the most glamorous label of all gin bottles, the multi award winning Daffy’s the iconic brand image of the Goddess of Gin created by Robert McGinnis (well known for classic 1960s film posters), depicts the exotic charm, beauty and complexity of the spirit. The distinctive scent is woody, floral, oaky with a fresh taste of citrus, Lebansese mint, red fruit and juniper. Just add lime wedges, and fresh mint leaves for the perfect D & T!. “By a clear margin, the most magical gin experience. Sweet, floral and intensively moreish!”. The essence of Jin-dea is derived from the Goomtree Estate, India, a speciality gin made from First Flush Darjeeling Tea, a delicate and floral Himalayan black leaf ‘Champagne of Tea’. This lemon & grapefruit citrus based gin is also infused with aromatic spices, peach, apricots, coriander, ginger, fennel, cardamom, cinnamon and angelica. 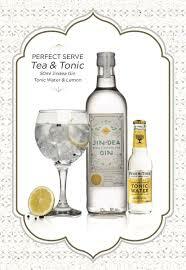 Jin-Dea is ideal for all highball drinks, G&T’s, Tom Collins and a Classic Martini with a twist of grapefruit. For the health conscious, weight watchers and alcoholic unit counters, Minus 33 is a low alcohol Gin (that isn’t gin), bursting with juniper, elderflower, lavender and angelica, just 46 calories per serving. The recipe has no refined sugars replaced by naturally sweet ingredients such as liquorice root. Enjoy neat, with a quality tonic or soda water, and a garnish of hibiscus; a sachet of dried flowers accompanies each bottle. 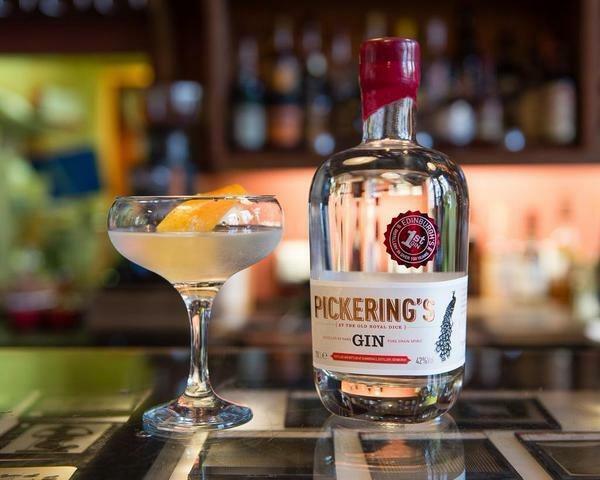 With its distillery at Summerhall, Edinburgh, Pickering’s Gin has developed a popular brand due to clever marketing – not least the Gin Baubles which sell out to decorate the tree at Christmas time. The gin is blended in three different styles: Pickerings, (the smooth one), Navy Strength (the stronger one) and Pickerings 1947 (the spicier one) based on an original 1947 Indian recipe featuring juniper, coriander, cardamom, fennel, anise, lemon, lime, cloves and cinnamon. These are respectively served with grapefruit, lime and orange. The result? Summer’s day flavours, easy-going, classic sweetness and orange fruits. 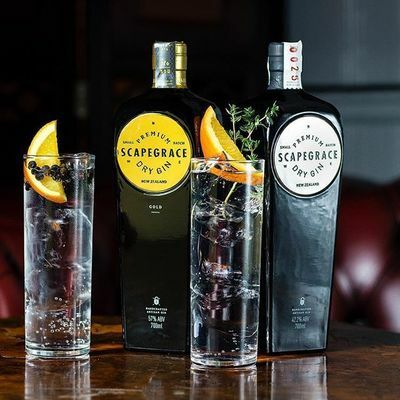 Scapegrace (meaning a rogue or scoundrel), is the name of a Kiwi Gin from New Zealand, featuring 12 native botanicals – juniper, coriander, nutmeg, cardamom, lemon peel, orange peel, orris, cinnamon, cassia, angelica, clove and liquorice, with pure water from the Southern Alps. Expect citrus tones with a hint of spice – the recommeded serve is with bitter lemon, a slice of orange and cracked juniper berries. 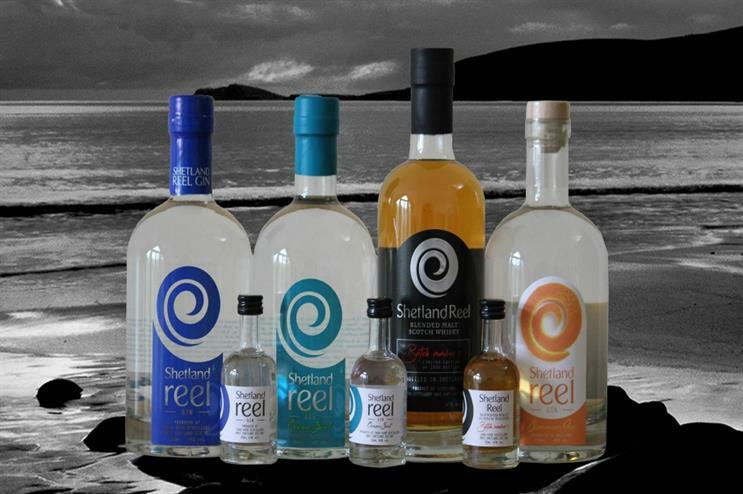 At the very northern tip of the British Isles lie the Shetlands where the North Sea meets the Atlantic Ocean, and where the Saxa Vord Distillery on the remote island of Unst has created the Shetland Reel Craft Gin. The recipe includes sweet scented leaves of apple mint giving an authentic flavour of Shetland, combined with juniper, mixed spice, citrus and a sharp tang of mint. Complement with Fever-Tree Original, Pink Grapefruit, a sprig of mint and lavender with plenty of ice or try it in a Negroni to make the most of its subtly sweet qualities. 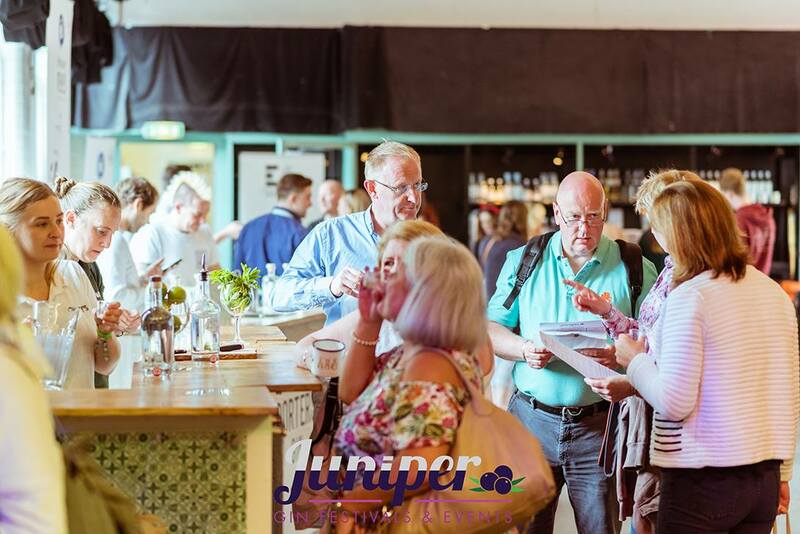 With music, entertainment, Scottish street food, craft stalls, expert masterclasses, tastings and cocktails, The Juniper Gin Festival runs from Friday 1st to Sunday 3rd June 2018, with a choice of afternoon and evening sessions. 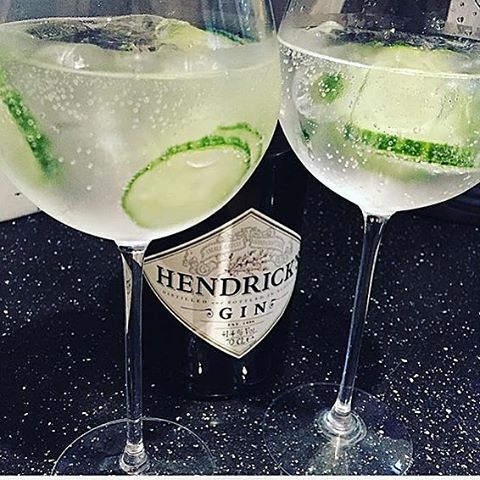 Happy World Gin Day – Cheers! It’s the last weekend in May and time for the Spring Bank Holiday weekend. The weather forecast looks fabulous with a mini heatwave across the British Isles. 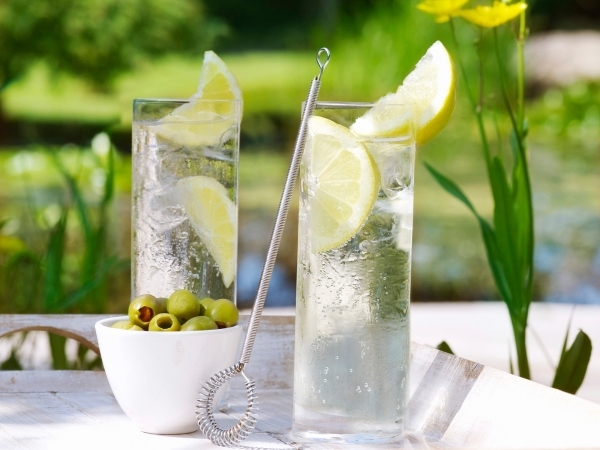 Time to chill out in the sunshine with a refreshing, ice cold G&T. 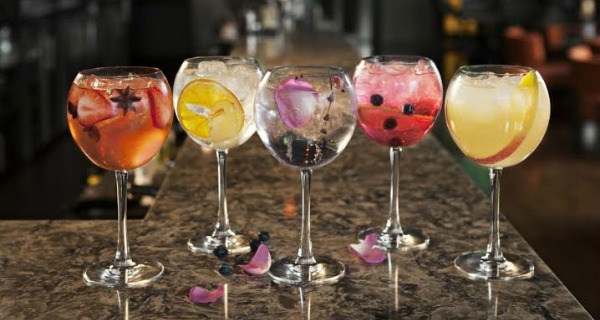 So congratulations to Slug and Lettuce which has planned their very own Gin Festival across 77 venues. So what a great idea to host a nationwide Gin Festival to celebrate Springtime and heading into Summer mood. 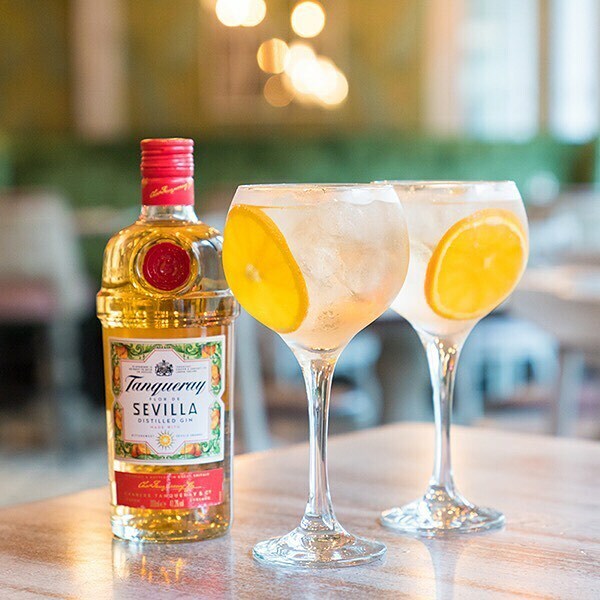 From 25th – 28th May, party goers can visit their local Slug and Lettuce in Bath and Bristol, Edinburgh and Glasgow, Leeds and London, Manchester and Milton Keynes, Woking and Worcester et al, to sample a selection of prime gins, creatively combined with a sparkling Fever Tree tonic, ice and a slice. The S and L mixologists have invented some summery concoctions with various herbal, floral, fruity and citrus flavours so that you can experiment with your gin own tasting to find a personal favourite cocktail. A speciality gin on offer is the Tanqueray Flor de Sevilla, which oozes the warmth of the Spanish Mediterranean sunshine with the bittersweet tang of Seville Oranges. Fragrant botanicals and the fresh citrus flavour is well paired with Fever Tree Tonic and a slice of orange. 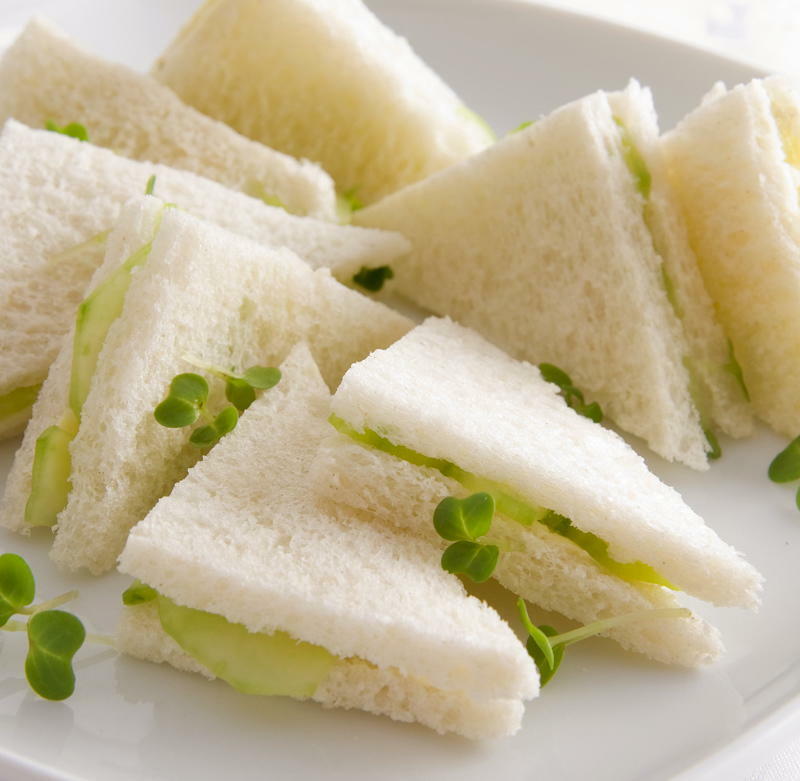 The classic cucumber sandwich is the epitome of British Afternoon Tea which would be perfectly complemented with Hendrick’s Gin, topped up with Fever Tree Elderflower and the essential garnish – cucumber. 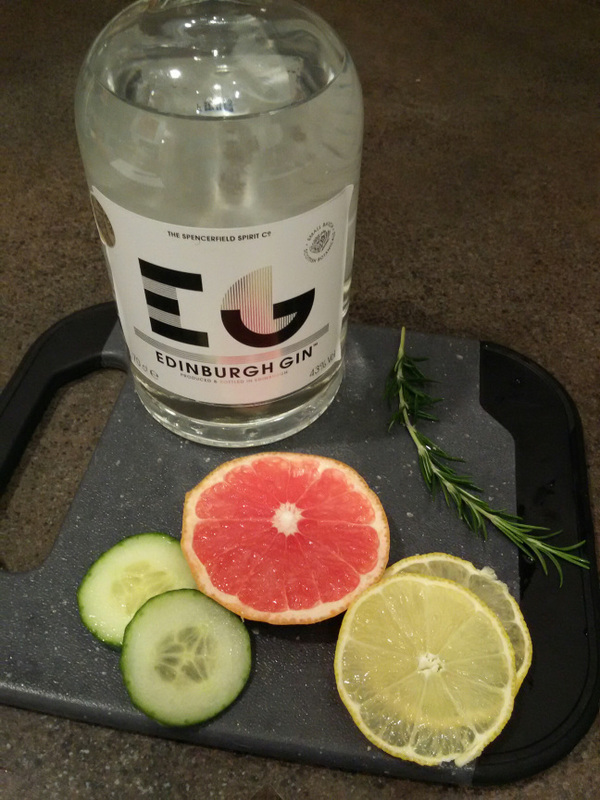 Juniper and floral tones enrich this much loved Scottish gin, with subtle infusions of cucumber and rose petals. 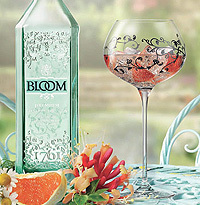 Bloom Gin is a perfect summer tipple creating the scents of a country garden: camomile, pomelo and honeysuckle botanicals create a delicately flavoured gin ideally served with Fever Tree naturally light and a sweet strawberry. Plenty of Vitamin C can be found in Tanqueray No. 10 when partnered by Fever Tree tonic and pink grapefruit. The citrus gin is distilled with hand-picked, fresh fruit and botanicals, including white grapefruit, orange, lime, juniper, coriander and camomile. If you are planning a barbecue or picnic over the holiday weekend, just make sure there is no slug in your lettuce. 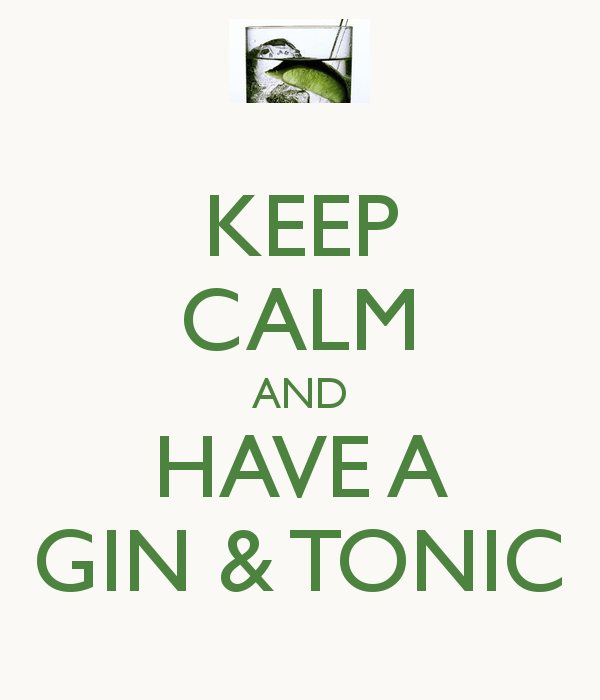 Instead, head over to Slug and Lettuce to join in the Gin Festival fun. I shall head off to my local S and L on George Street, Edinburgh. 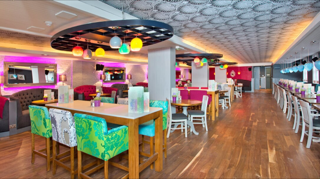 Slug and Lettuce – cool and contempory decor and drinks for party time with friends. The Slug and Lettuce Chin to Gin Festival runs Friday to Monday over this Spring Bank Holiday weekend. Tickets are just £13* per person. (note that the price vary across individual venues). As they say Chin Chin! 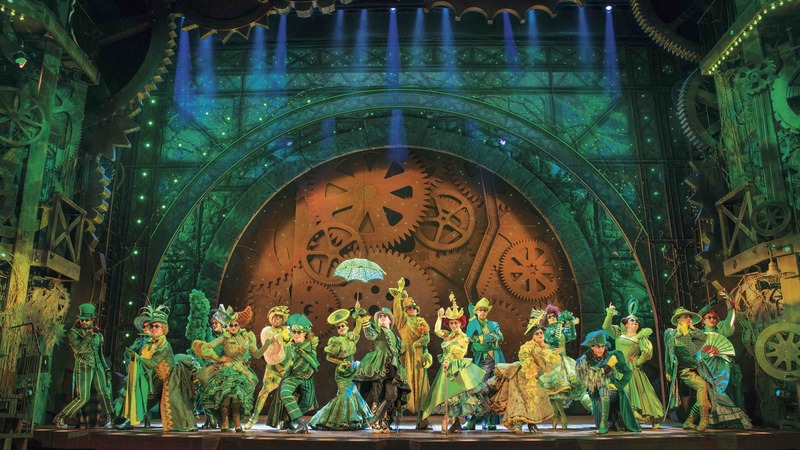 Wicked has been seen by over 55 million people around the world since its premiere on Broadway in 2003, winning a Tony Award, now in its 12 year in London and is one of the most successful musicals of all time. This 2018 production is flying around UK & Ireland and has arrived for a month long residency at the Edinburgh Playhouse. 118 years ago, L Frank Baum wrote the children’s whimsical fairytale, “The Wonderful Wizard of Oz” which turned into a series of 14 books about the colourful characters and animals of the land of Oz. This magical world was perfectly adapted for the screen starring Judy Garland and her cute dog Toto in the classic 1939 movie “The Wizard of Oz” – you don’t have to have seen it to enjoy this show, but it may help. 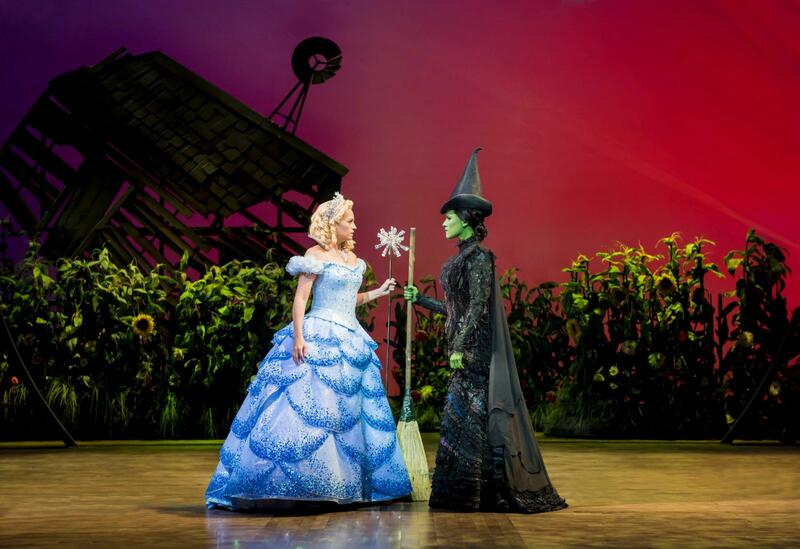 The inspiration for the imaginatively conceived Wicked (written by Stephen Schwartz and Winnie Holzman) is based on “Wicked, The Life and Times of the Wicked Witch of the West” by Gregory Maguire, the untold story of Elphaba and Glinda. Scene one: the Munchkins and Glinda The Good Witch are celebrating the death of the Wicked Witch of the West, who tragically dissolved when a farm girl threw a bucket of water over her. We are then taken back in time to follow the lives and loves of two students after they arrive at Shiz University. The question posed at the start is “Are people born wicked, or do they have wickedness thrust upon them?” The perennial Nature or Nurture debate. 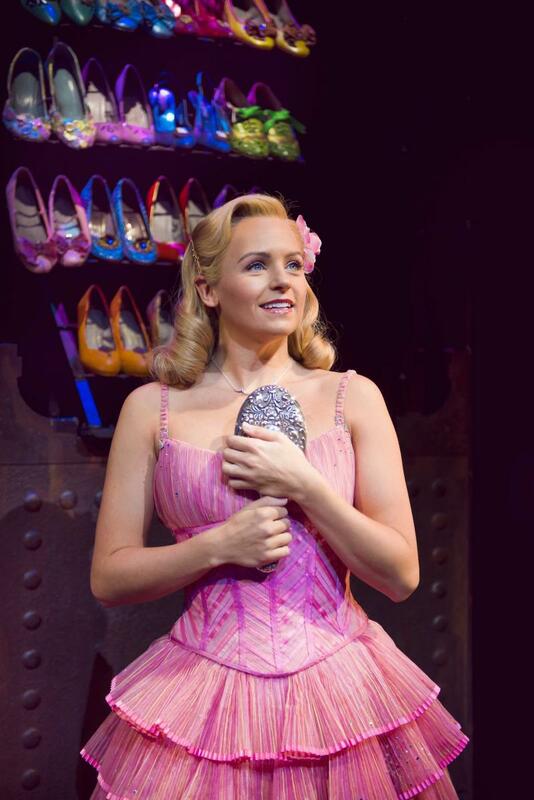 As a glamorous young blonde, Glinda is perceived as a spoiled, Paris Hilton styled socialite used to getting her own way, with only two concerns – to be beautiful and popular, catching the eye of the most handsome guy, Fiyero. 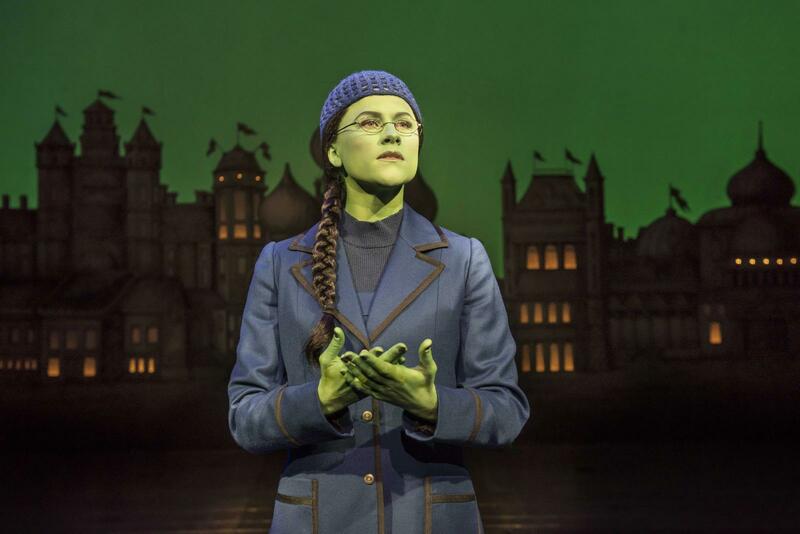 In contrast the shy, diffident outsider, Elphaba has endured an unfortunate childhood, dysfunctional family, a disabled sister, Nessarose, and not least, she was born with green skin. But beneath her vulnerable façade, she is a sharp cookie with a bright intellect. 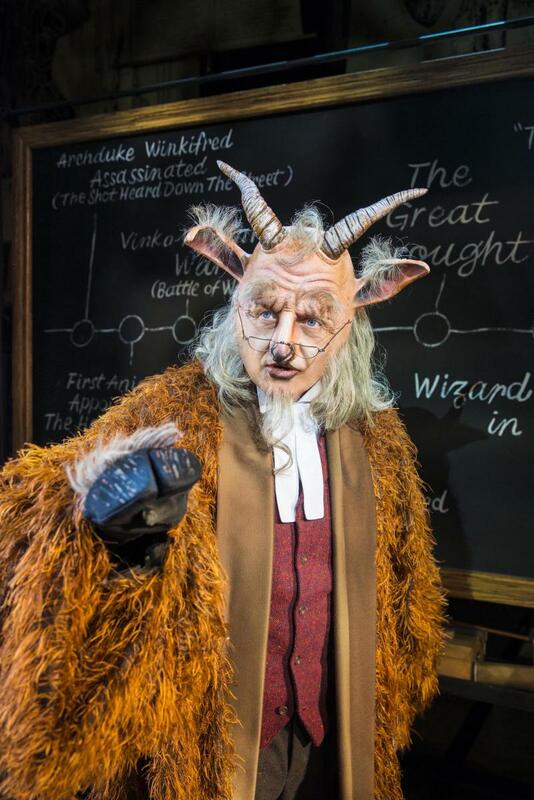 Shiz University is soon revealed as a Hogwarts-styled Sorcery academy for those with secret bewitching powers: Elphaba and Glinda are inspired by the charming goat, Professor Dillamond, (brilliantly played by Steven Pinder with gentle poignancy) until the motherly, yet domineering Headmistress Madame Morrible claims that “animals should be seen not heard”. The dark, dastardly plot is peppered with quick witted humour, jokes and puns from “The Wizard of Oz,” through all the quick changing scenes, colourful costumes and pantomimic fun and games… not least the rather terrifying, flying monkeys. The spirited choreography is spot on from the energetic ensemble with the action flowing along by the melodic score, powerful ballads, romantic lyrics and chorus numbers. 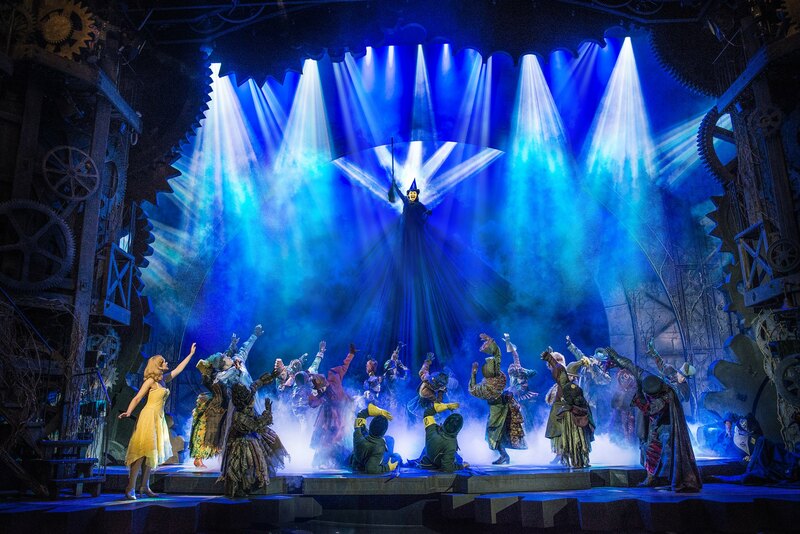 Leading the cast are Helen Woolf as Glinda – (so reminiscent of Reece Witherspoon as Elle Woods in Legally Blonde, with a lot of hair tossing and fabulous frocks) – and Amy Ross – on first encounter – as the evil-eyed, green- tinted Elphaba. As they unwittingly become room mates and best friends, it’s gradually revealed that Elphaba has a kind heart as a freedom fighter for social and moral justice. These are roles which require strong dramatic and vocal talent and they both shine throughout as stars of the musical stage with real passion and sensitivity through all the romantic twists and turns of the narrative. While many of the lyrics may not be singalong classics, the performances are superb. 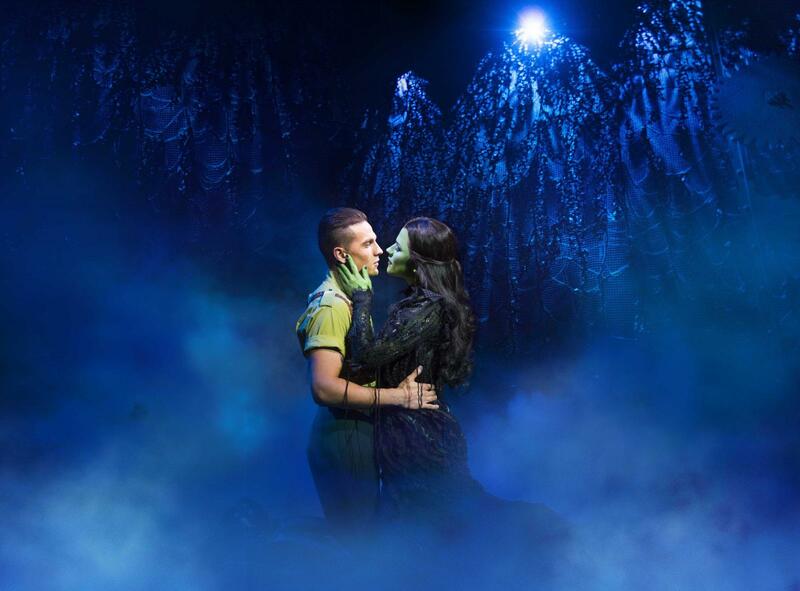 No One Mourns the Wicked, Popular, I’m Not that Girl, Defying Gravity and As Long as You Are Mine are all showstoppers. Grab your glittery red Dorothy shoes and broomstick and rush off to see this spectacular, wonderfully wicked show – pure magical entertainment for all ages – from around 8 to 88. Before the show, enjoy a relaxing supper at Mamma Roma, which offers a warm welcome, superb, authentic Italian cuisine, bar drinks and friendly service. After a delicous meal, it’s just a two minute walk across the road to reach the Playhouse in good time for curtain up. Good value Pre-theatre and A la Carte menus with wines by the glass, carafe and bottle. 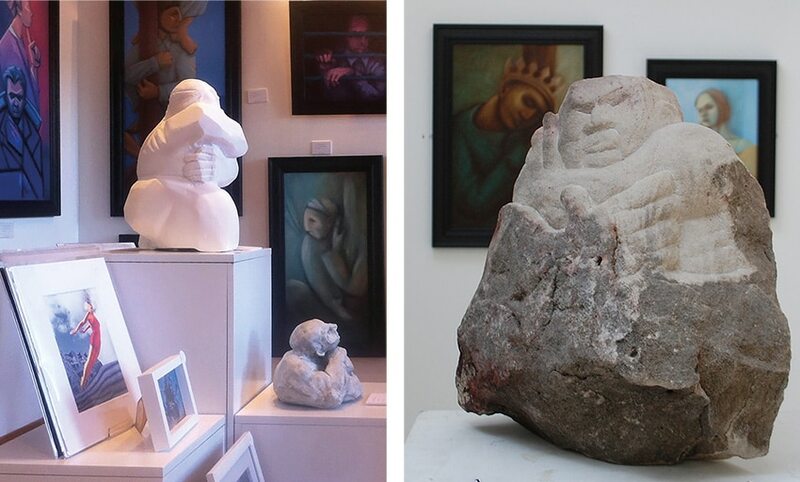 Lennon-Art is a most welcoming gallery in the cultural (and culinary) hub of Stockbridge, Edinburgh, founded by the artist Alan Lennon. 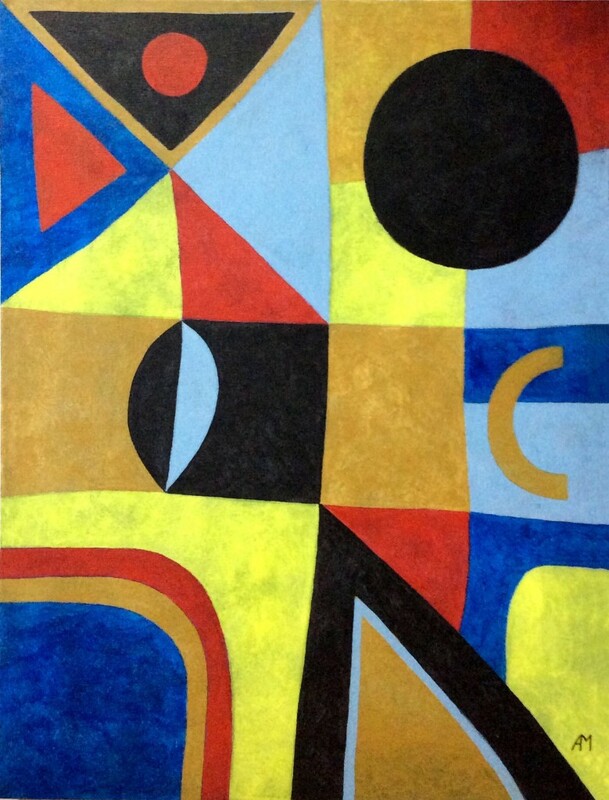 The current collection Taking Shape very much celebrates the birth of Spring with a refreshing cocktail of colourful paintings and prints by Stephen Holmes, Alan Martin and Alan Lennon, interlinking a theme of abstract artwork with both lighthearted humour and thoughtful insight. 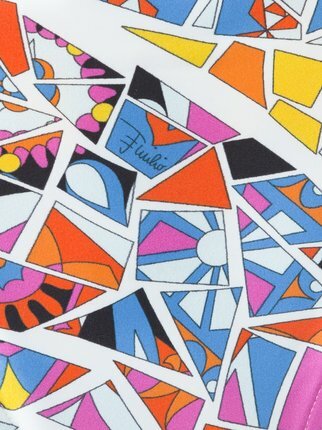 With sharp edged red, blue and orange cubes and triangles like a traditional Harlequin’s suit. 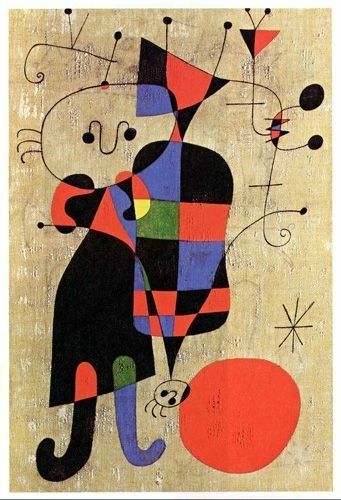 his painterly style echoes the modern masters – Mondrian, Picasso and Miro – but which is in no way a blatant duplication. In his own refreshing manner, Holmes captures the naivety and innocence in childlike images of cats, houses, city park and caricatures of people which will make you smile. Whatever the subject matter, there is pure inventiveness in each picture depicting an enchanting landscape with a wild and wondrous imagination. 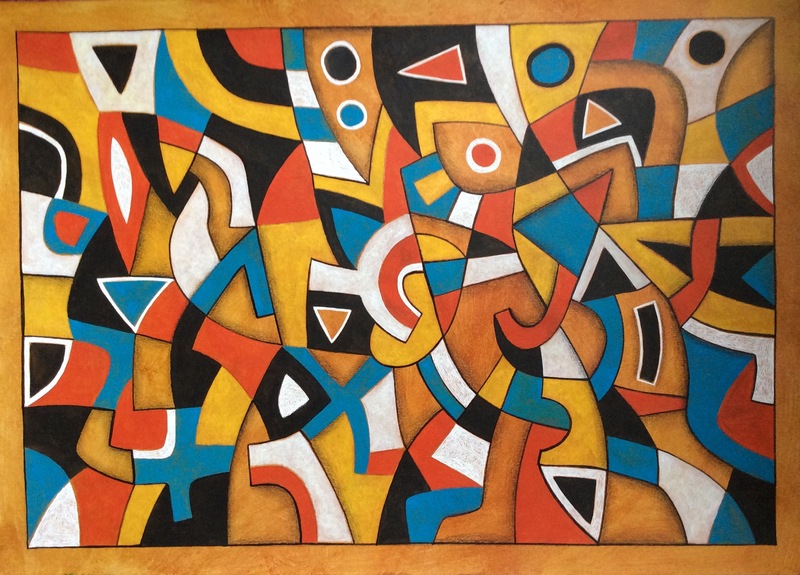 Moving down the route of abstraction, Alan Martin presents a patchwork of geometric shapes around curving lines described as Doodles using mixed media, mainly acrylic with pen and coloured pencils on card or canvas. There’s a two-dimensional flatness over the canvas and the bold compositions would also be ideal for cushions, rugs and Fashion design too – the swirling patterns and bright prints by Emilio Pucci and Jonathan Saunders are perfect for flowing silk and soft fabrics from floaty summer dresses to swimwear. 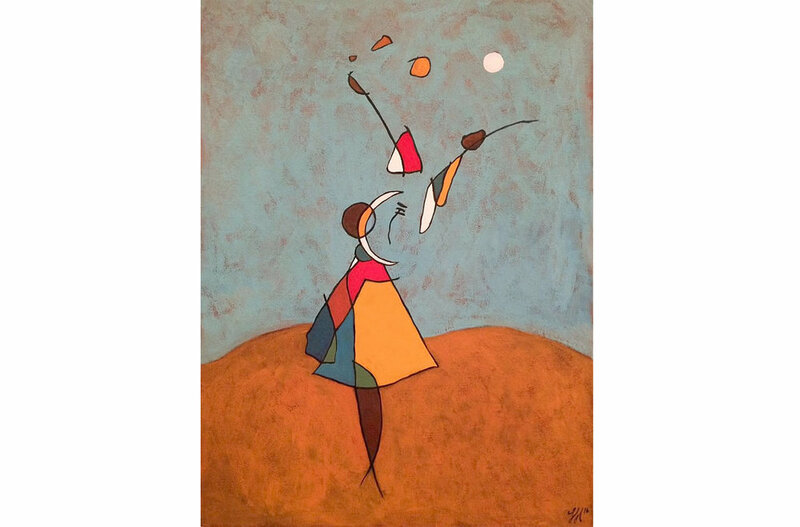 The diverse range of Martin’s work also covers a porfolio of birds, fish, people and still life with a darkly, dramatic, Dali-esque narrative. 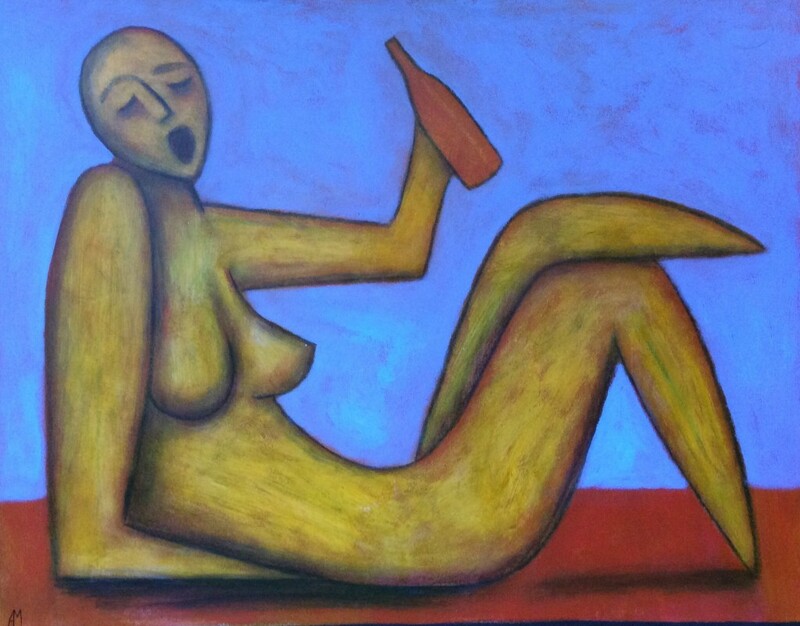 Alan Lennon’s oil paintings specialise in figurative work with a recurring theme of a thoughtful, philosophical mood. 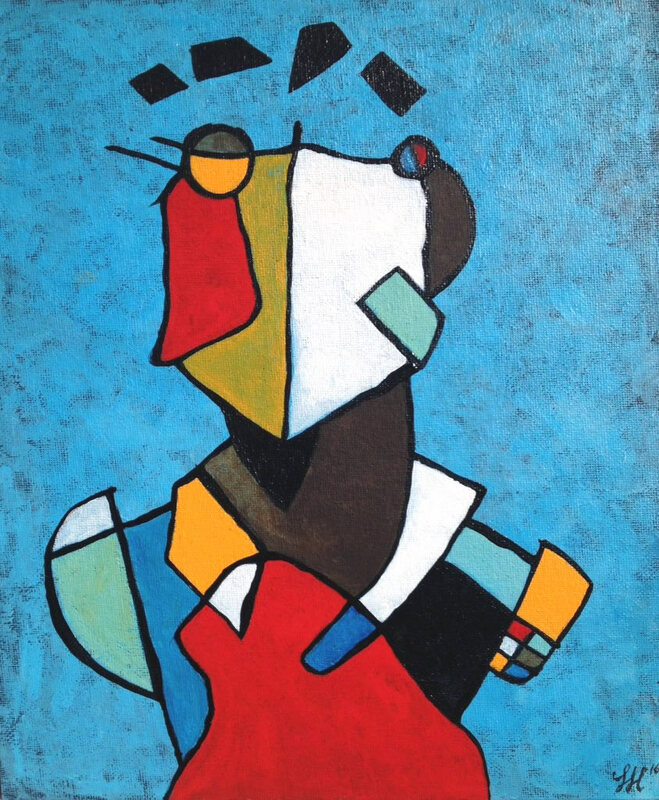 Through a series entitled Essence, Substance and Silence, he has gradually developed a less representative dimension along the lines of Picasso’s manner of fragmentation. 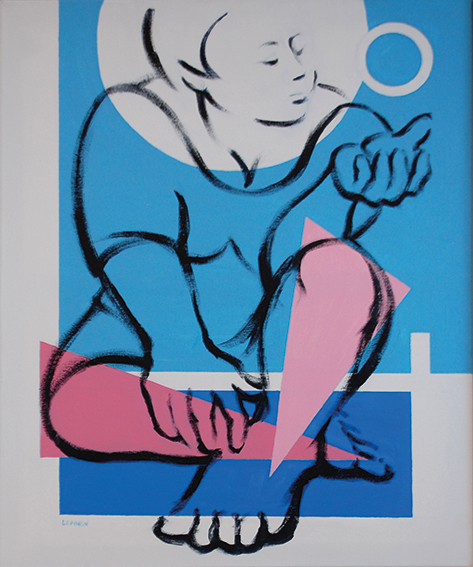 These reflect a hidden depth of emotion and spirituality handled through facial expression and subtle gesture of crossed hands and feet such as in “Reflection” and “Aspiration”. Lennon admits his figures are not based on people he knows. 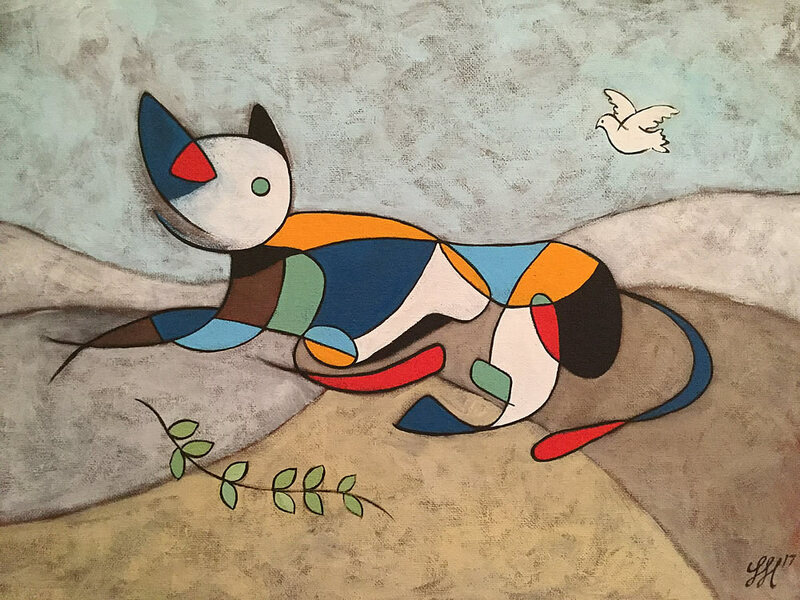 Instead through his own imagination (and perhaps subconsciously adding an aspect of himself), presents a quiet, joyous Zen-like beauty of the world. He is also a fine sculptor especially constructing a face, eyes and furrowed brows depicting sadness or love with extraordinary poignancy. 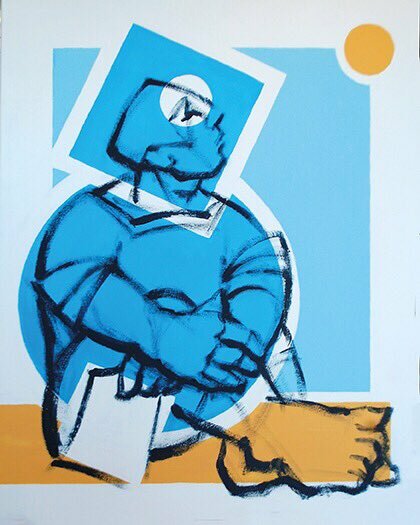 “Taking Shape” is a well curated showcase of three artists who complement each other with their individual approach to reconfiguring the notion of the everyday, life and humanity with imaginative vision. Catch this exhibition if you can before it ends on 10 May … but whenever you visit there is always a varied collection of paintings, prints and sculpture throughout the year. Open Mon-Sat, 12pm – 6pm. Revolutionary, hot and happening – @ Pizza, Edinburgh is Where it’s At!. “Be the Revolution” is the motto of @Pizza which claims to make the World’s Fastest Pizza so my partner Ken and I went along to check out this record breaking achievement for ourselves. In 1889 during a visit to Naples by Queen Margherita of Savoy, Chef Esposito created the iconic pizza named after her – Basil, Mozzarella, and Tomato, the colours of the national flag and put the humble savoury flat bread in the spotlight. Today Pizza is beloved the world over and chefs have always tried to replicate or even improve upon the original Neapolitan classic. 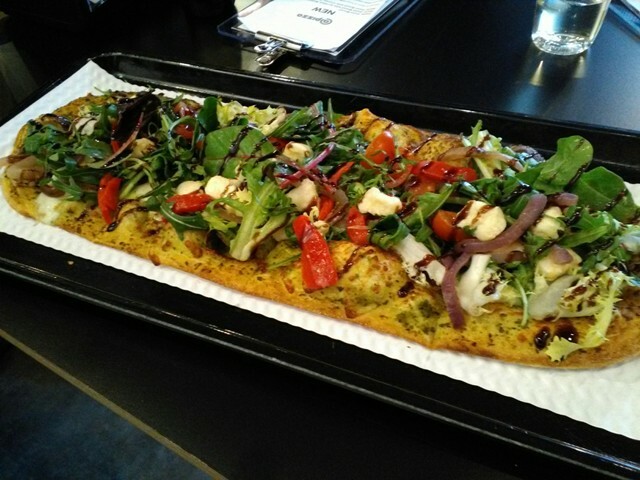 @PIZZA is the brainchild of founders Bhasker Dhir and Rupert Lyle who experimented, researched and sourced ingredients and recipes to re-invent their own healthier, calorie-counted style of pizza for the 21st century. As Bhasker believes “The essence of Italian cooking, in fact any cooking, is great ingredients and this has been the basis of our development. 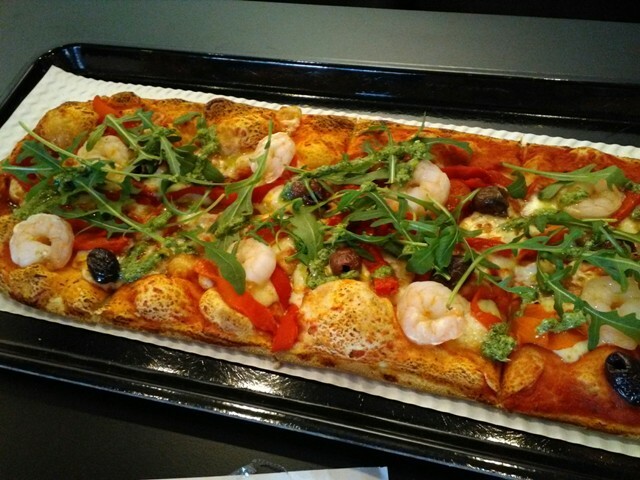 We set out to create the best pizza possible, not just once, but every time”. 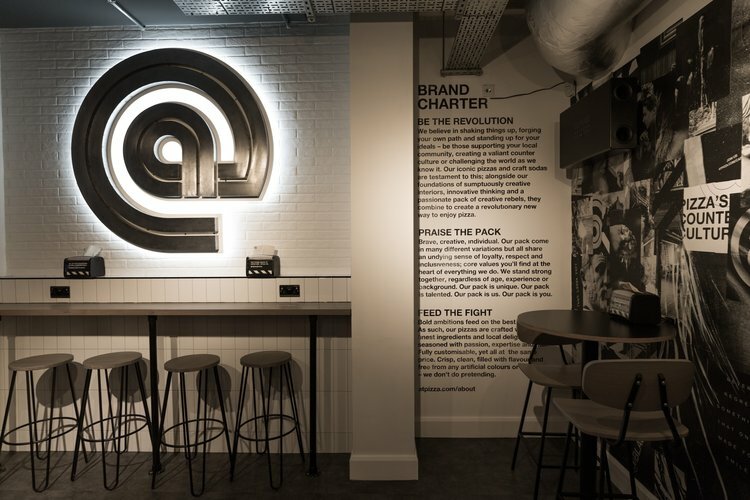 And they have also re-imagined the typical Pizzeria in the UK to create a new, revolutionary casual dining experience, perfect for a meal out with family and friends. “ The concept has been designed to be simple, .. our vision is to change the way people eat pizza by changing the way it is served.” Rupert Lyle. Intrigued at what this revolutionary concept is all about, we arrive at the smart, sleek restaurant on Charlotte Lane, a cobbled street of bars and bistros at the West End. 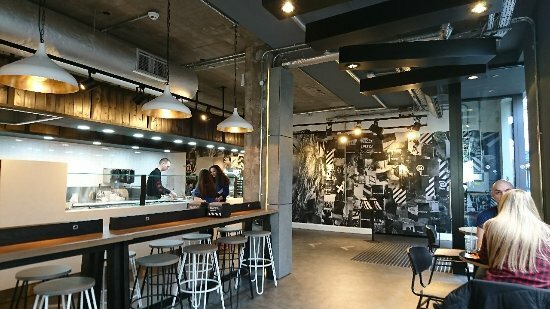 Formerly an office block, the interior design retains an industrial look, all clean lines furnished in wood and steel, café chairs, bar stools and banquette seats with small and large tables to suit couples, friends and families. Ceiling lights rigs are like a theatre stage or art gallery and the paper napkin dispenser looks like a toaster. In muted colours of grey, black and white, it’s modern, minimalist – designed with function and purpose. Central to the space is the open kitchen with a long counter where diners queue up to order their Pizza. Yes folks, be prepared for self service but it’s much more fun than your usual fast food place. It’s not just a case of ordering from the menu, you design your own from an enticing array of ingredients covering meat, fish, vegetables, sauces and spices. This is so inspirational giving the freedom to choose exactly what you want on your pizza, with no rules that you cannot mix, say, chorizo and pineapple or broccoli with bacon. You are your own chef as it were, artistically mixing and matching to create a colourful culinary feast. First choose the base, (which is long and oval in shape), either sourdough or ancient grain which is 100% spelt flour, which are both slow-proved 48 hours in advance, here in the kichen. Then select a tomato or perhaps a smoky barbecue sauce, cheese (including Scottish vegan), and all the toppings of protein and vegetables. 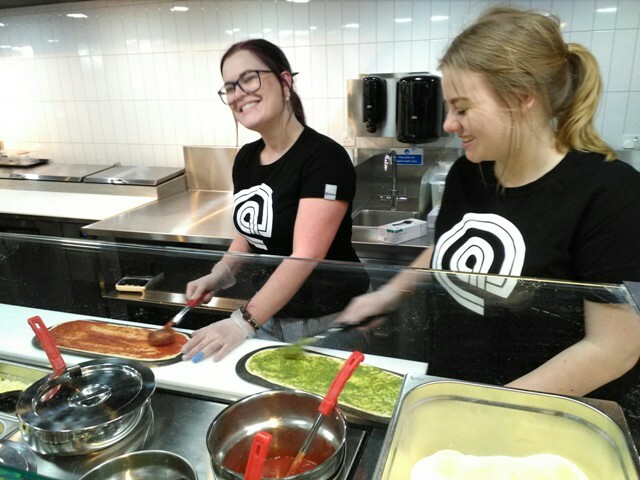 The servers behind the counter do all the actualpizza preparation (it is not DIY! ), and will advise on the selection and what you might like to add to ring the changes. Then when your masterpiece is complete it is popped into a High Tech oven heated to a temperature of 600 degrees F, to bake each pizza in just 90 seconds. Then for the final flourish, add perhaps a drizzle of basil oil, chilli flakes and salad leaves to jazz it up to perfection. It is best to study the choice of ingredients at your table and have an idea of what you might like, before lining up as you might not wish to rush the decision making. The menu clearly states vegetarian and vegan food as well as the calories for each topping. Ken and I enjoy this process: I select sourdough with tomato sauce, Scottish mozzarella, mushrooms, roast peppers, a smattering of fresh Jalepeno chillies, spinach and king prawns. Once baked, I ask for a few olives and garlic oil for the final garnish. For Ken, he selects his favourite fish – Tuna, with pesto sauce, red onion and a pile of rocket leaves drizzled with chilli oil. The thin dough is soft and foldable – best eaten with your fingers – and as we had devised our own personalised pizza, we could not quibble with the choice of ingredients. Every bite of my seafood, cheese and veggie Pizza was simply delicious. 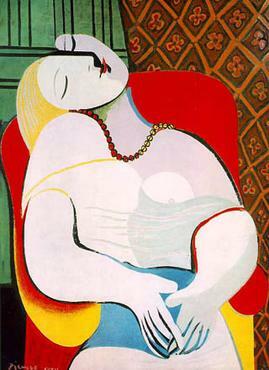 And artistically created in record time – just a few minutes from start to finish. The Bar Drinks menu has been carefully selected for quality rather than quantity. 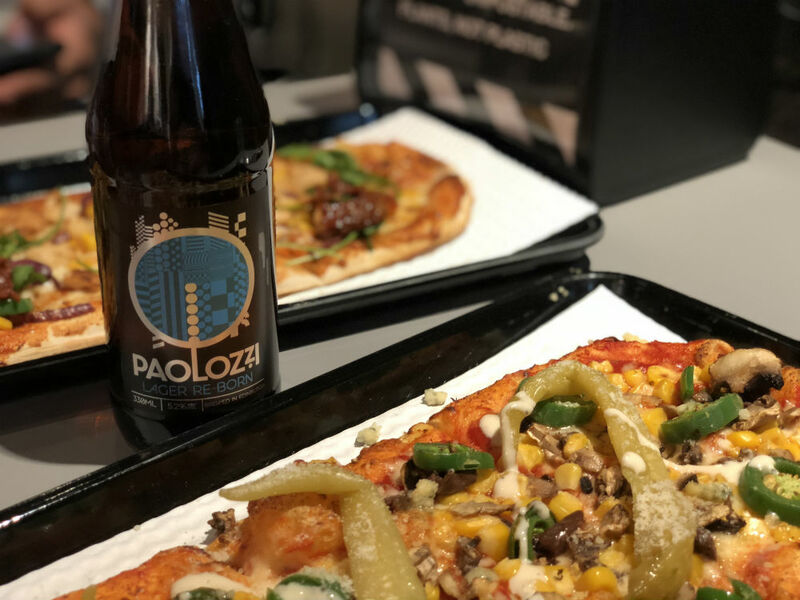 Have a mini bottle of Prosecco or a Mojito cocktail as an aperitif perhaps, and then one of the local craft beers – Paolozzi Lager is light and so refreshing, or an Italian wine, (Chardonnay, Merlot or Rose) served in individual “vegi-plastic” glasses. 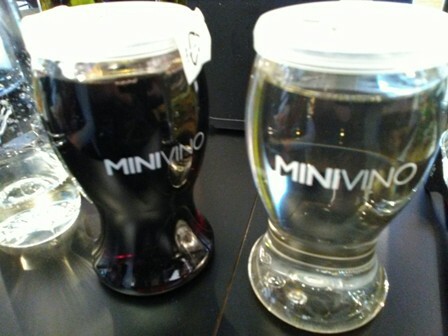 A wider choice of wine and also served by the carafe or bottle would be welcome – after all this is a sharing kinda place. Interesting choice too of non-alcoholic Sodas, iced tea, lemonade and low sugar fruit juices. For those who cannot decide on how they wish their Pizza to look or taste, there are eight Designer recipes including, of course, the classic Margherita, called the Icon and ‘Eat Meat Repeat’, rich in Pepperoni, spicy sausage, ham and beef meatballs. 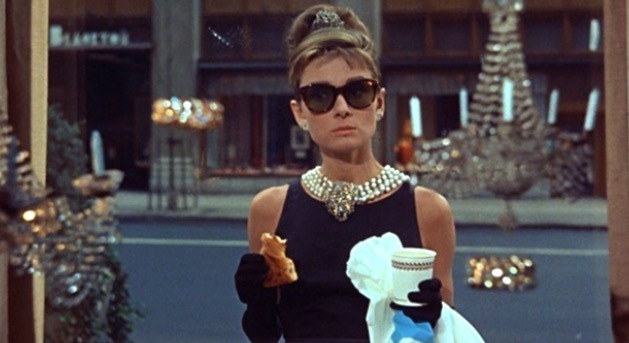 ‘At Tiffany’s’ is cleverly devised like a full Scottish Breakfast, with bacon, sausage and egg, but not quite the same as the coffee and croissant enjoyed by Audrey Hepburn standing outside the famous Jewellery store in New York in the movie. 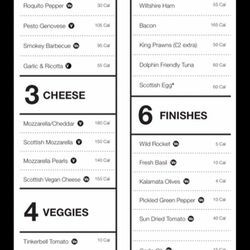 Another welcome aspect to the @Pizza style of dining is that all the Pizzas are priced at £9.95, whether created by yourself or designed by the Chef. (Just a wee charge of £1.50 for the succulent, juicy King Prawns). The quality ingredients are locally sourced as well as speciality produce from Italy and packaging is environmentally friendly with excellent waste aware process. The staff – known as the Pack – are super friendly and enthusiastic –all selected and trained by the management to ensure a consistent, professional approach to service. The ambience is casual and relaxing, perfect for families with kids, (who will love making their own pizza), as well as cabaret-style Open Mic music gigs on Sundays each month, and students can enjoy a half price feast on Wednesdays. 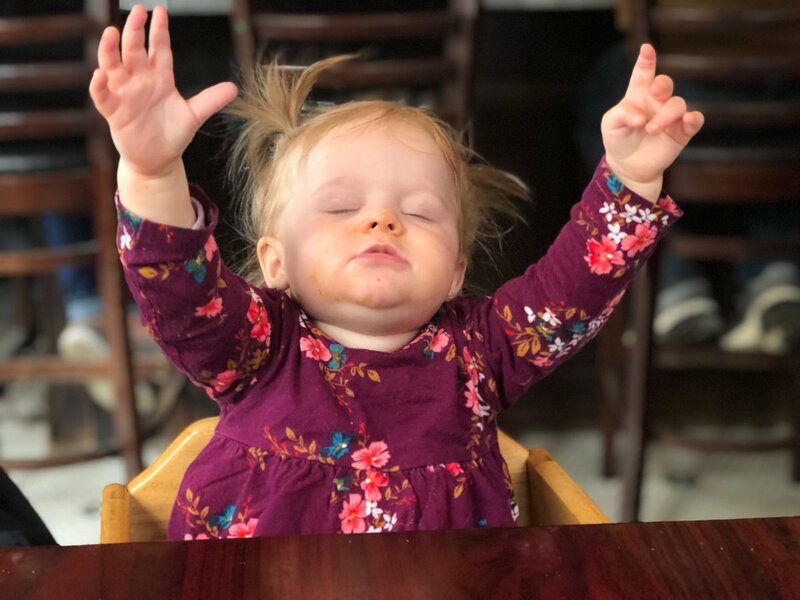 Jody Avirgan tweeted this photo with the tagline “ My daughter just tried pizza for the first time” showing her expression of rapturous glee, which went viral. To date, it’s been liked 265,994 times and retweeted 64,397 times. Viewers tweeted back “I still do this!”. “It’s where it’s at” is an idiom meaning a place that’s fashionable, popular, hot or where the action is. So visit @PIZZA soon whether with your partner, group of friends on a lively night out or family treat and you might tweet photos of happy eaters like this little Pizza lover! Opening hours: Sun-Thur, 12 noon – 10pm; Fri & Sat, 12 noo – 11pm.